Following the alteration to interchange fees (the amount credit card providers can charge retailers) in the middle of 2018 and an EU-enforced cap of 0.3% being introduced on certain credit cards, many of the above frequent-flyer schemes withdrew their branded credit cards. Whilst this has created some short-term challenges for holders of the previous cards, you should fear not as there are still plenty of ways to earn points for the above schemes using various air miles credit cards. Plenty of Choice – But What’s the Best Air Miles Credit Card for you? 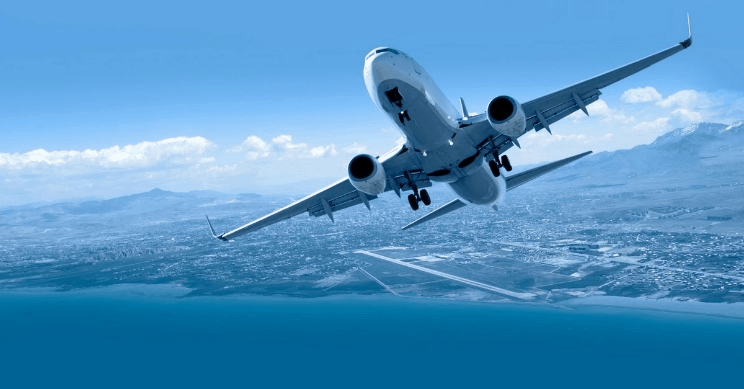 Before we jump into this air miles card UK review I think it is useful to first look at the reasons why you may want to collect air miles – this is particularly aimed at new readers as regular readers should be well equipped to know just how incredible some of the benefits offered by air miles can be. That’s not to say that there aren’t still incredible deals available as both my other half and I experienced when we travelled First Class with British Airways from London to Sao Paulo. What’s even better is that we earned enough points in less than a year for these flights, each spending £7,000 on everyday items across two credit cards mentioned in this article… You can read our full BA First Class Review here which includes a step-by-step guide to earning enough points for two First Class flights. Alternatively read on to find out which credit card is likely to be best suited to your spending and travel habits! I’ve broken this review of the best credit card for air miles down into two parts. The first focuses on what I class as ‘branded’ credit cards offered directly by the airlines alongside a credit card provider. An example of this would be the British Airways American Express which seems to be the go-to card for most first time air miles (Avios) collectors – this however is a terrible card as we discuss below! The second type of cards are ‘independent’ credit cards which allow you to transfer points from the subject credit card to your chosen frequent-flyer scheme. There are of course limitations, with only certain credit cards allowing you to transfer points to a restricted number of frequent-flyer schemes. Unfortunately not all transfer partnerships are made equal and as such choosing the correct one could double your earnings… This article is aimed at helping you navigate the various pitfalls to boosting your earning potential. Ok, now back to the best air miles credit cards available to UK residents offered by airlines (i.e branded credit cards). As I mentioned earlier the environment for branded airline credit cards has changed significantly over the last 12 months. The majority of second tier credit cards were offered by MBNA which was impacted by the 0.3% interchange cap. With the benefits offered by MBNA worth significantly more than the 0.3% cap (closer to 1% across the various cards) it was only a matter of time before MBNA withdrew its loss-making credit cards, which had been offered in association with major airlines. Sign-Up Bonus: When you spend £3,000 on the card within the first 3 months you’ll receive 25,000 Avios points. This can be increased to 26,000 points using this link and scrolling down to the correct card (every little helps!). Other Perks: You’ll earn 1.5 Avios points for every £1 spent on the card. Once you spend £10,000 on the credit card within a membership year you’ll receive a 2-4-1 voucher to be used on an Avios redemption (expires after 24 months). This will essentially reduce the number of points required for a two-person redemption by 50% and as such is one of the most generous credit card perks available in the market (particularly for those who already have a considerable number of Avios points). Cost: There is an annual cost of £195. Thrifty Points Rating and Thoughts: 9/10 (but with a caveat!). For those who wouldn’t spend £10,000 on the card or alternatively don’t already have over say 30,000 Avios points the benefits of this card are unlikely to offset the annual fee. HOWEVER, for those who will reach the £10k spend limit the benefit of being able to effectively double your points using the 2-4-1 voucher can be an extremely valuable benefit, making this one of the best air miles credit cards in the UK! Other Perks: 5 Flying Club miles for every £1 spent on the card. Similar to the card above, when you spend £10,000 on the card in a 12-month period you’ll receive a 2-4-1 points redemption voucher. There is however a restriction on the types of tickets that this voucher can be used with – making it significantly less valuable… If you don’t hold either Silver or Gold status with Virgin Flying Club you can only redeem for an economy 2-4-1 flight or alternatively swap the voucher for a return upgrade to premium economy for one person. In addition to these uses, Silver members can redeem the 2-4-1 voucher in Premium or gain one pass to the Virgin Clubhouse with only Gold members being able to redeem for Upper Class flights! Thrifty Points Rating and Thoughts: (6/10) Whilst the voucher offered by this card provides value to Virgin Atlantic Gold members, being able to redeem for economy or Premium really doesn’t provide great value! The card is however offered by MasterCard, which some will find easier to spend £10k on to reach the spending threshold! Other Perks: 1 Avios point for every £1 spent on the card. You’ll also receive a 2-4-1 voucher when you spend £20,000 on the card in a membership year. This voucher has a 12-month expiry which makes it tricky if you’re trying to book onto a busy Avios redemption route. With these routes requiring Executive Club members to book 355 days in advance (as soon as tickets are released), unless you book a flight within 10 days of hitting the £10k spend threshold this can be extremely restrictive! Conclusion – even with a fee of £195 for the Premium Plus you’d be mad to go with the BA Amex (tip: if you don’t want to pay a fee go with the free Amex Gold discussed below). Sign-Up Bonus: 10,000 Virgin Flying Club miles (5,000 points on your first purchase and 5,000 points when you spend £1,000 on the card). Other Perks: Spend bonus of 0.75 miles for every £1 spent on the card. A 2-4-1 voucher when you spend £20,000 on the card in a membership year. Thrifty Points Rating and Thoughts (6/10): Again, being a MasterCard, the Virgin Airmiles Credit Card is likely to be easier to spend on for some – although I can’t remember the last time I visited a retailer who didn’t accept Amex! Thrifty Points Rating and Thoughts (4/10): This MasterCard / Diners Club combo was launched towards the end of 2018 and offers a strong ongoing spend rate. The only real reason I’d recommend signing up to this card is if you spend a considerable amount of time in Germany or as a way of preventing your Miles & More balance expiring (although you’d need a considerable number of points for this to make sense). On our quest to find the best air miles credit card UK we’ll take a look at other cards on the market which allow you to transfer points across to certain frequent-flyer schemes. As regular readers will have heard me mention before, having the flexibility of being able to transfer points earned with a credit card can significantly improve their value. Let’s take Virgin Flying Club points as an example. If you predominantly only ever travel within Europe, Flying Club points are currently (soon to change with the acquisition of Flybe) relatively useless. As such you’ll likely use the points you’ve earned through their partners and are likely to achieve a rate somewhere in the region of 0.3p-0.5p per point. If you’d earned these points on a card which gives American Express Membership Rewards points you would have had the option to transfer to Virgin Atlantic at a rate of 1:1 or on the other hand you could have transferred to Avios where you would have likely achieved a rate of 1p when redeeming for a short-haul flight. As such, flexibility is king when earning and redeeming points! Other Perks: Earnings rate of 2 points per £1 spent (equivalent to 1 Avios) which is good for a MasterCard. LoungeKey pass providing unlimited access to a large number of airport lounges. Thrifty Points Thoughts: The card has strict sign-up criteria which means you’ll need to hold an HSBC Premier current account and also have £50,000 invested with HSBC. This will likely restrict the card to a small handful of people. Sign-Up Bonus: 30,000 points when you spend £2,000 in the first 3 months. This can be increased to 35,000 points using this link and scrolling down to the correct card. Other Perks: Earnings rate of 1 point per £1 spent. This card offers an exceptional list of benefits. Please read my full review to see why these may offset the whopping annual fee. Thrifty Points Thoughts: For a small handful of people the extensive list of benefits will far outweigh the annual cost of the card. Read our review for full details. Sign-Up Bonus: 20,000 points when you spend £2,000 in the first 3 months. This can be increased to 22,000 points using this link. Other Perks: Earnings rate of 1 point per £1 spent. 2 free airport lounge passes. Cost: Free for the first year and a £140 pa fee from year 2. Sign-Up Bonus: 30,000 points (10,000 Avios) when you spend £2,000 in the first 3 months. Increased to 33,000 points when you use this link and scroll down to the SPG Card. Other Perks: Earnings rate of 3 points per £1 spent (equivalent to 1 Avios). Marriott Bonvoy Gold elite status. Transfer Partners: 44 partners – see a full list here. Thrifty Points Thoughts: Whilst the ongoing rate is reasonable the sign-up bonus is inferior to other cards mentioned. Wow, 10 possible air miles credit cards, each of which will likely suit different people depending on their spending and travelling habits! To make your choice slightly easier we’ve looked at a couple of examples to see which might be the best airmiles card for you! With an extremely generous sign-up bonus and no fees for the first year, we’d recommend the American Express Gold card to most people – especially those that are new to collecting miles. The ability to use points across 12 airlines as well as for various other rewards makes the benefits offered with this card exceptionally flexible. Don’t forget that you can increase the sign-up bonus to 22,000 points by using this link. As we explored earlier, for those who could spend £20,000 on a credit card in a year by mixing the BA Premium Plus card with the American Express Gold card you could earn as much as 77,000 points. 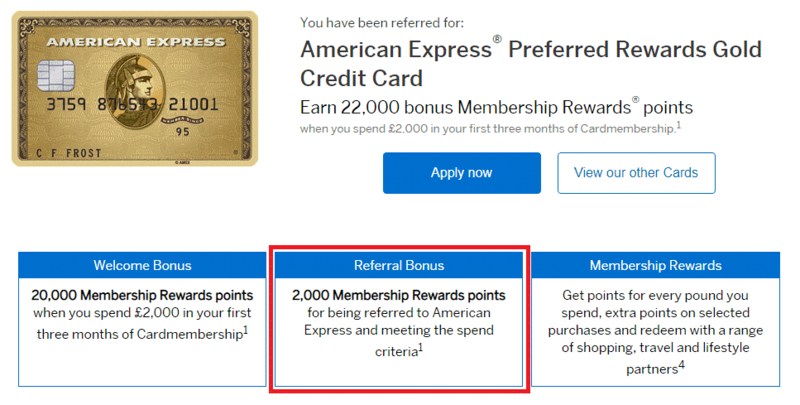 Recent changes to American Express rules now mean that to qualify for the sign up bonus on certain cards you cannot have held a personal American Express in the last 24 months. Fortunately you can still sign up and benefit from the bonus of the Premium Plus card if you hold a Gold Card. The same is not true in reverse. If you already hold a Premium Plus card you will not qualify for the sign up bonus on the Gold card. As such always sign up to the Gold Card first and then the Premium Plus card second – learn more about the sign up bonus restrictions and our suggested strategy here. With a return First Class flight to Saudi Arabia requiring only 85,000 Avios and the 2-4-1 voucher you won’t need to earn much more for 2 return First Class flights! You can use our BA Avios Points Calculator to see just where you could fly with your points. If you meet the criteria for the HSBC Premium card then this would be a no brainer. For those that don’t, either the free Virgin card or premium version would be your best options. Air miles credit card vs cashback – which is best? Best airmiles card UK for sign-up bonuses? 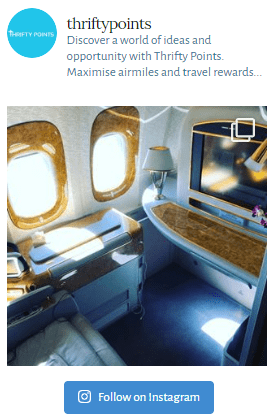 Either the (free for the first year) American Express Gold card offering 22,000 points using this link or alternatively the HSBC Premium card which offers the equivalent of 40,000 air miles and comes with an annual fee of £195. What’s the best Airmiles Credit Card UK for Virgin Atlantic miles? 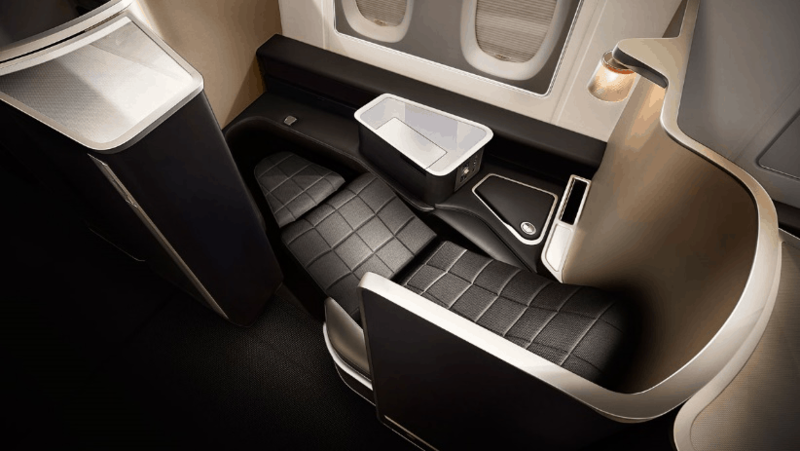 What’s the best Credit Card Air Miles UK for BA Avios? What’s the best American Express Air Miles Credit Card? Whilst I have the American Express Platinum Card, for most people I’d initially recommend the (free for the first year) Amex Gold. Don’t forget to cancel before the first free year is up because the ongoing benefits generally don’t offset the annual cost of the card….